With temperatures forecast in the 80's for NFL Draft Weekend here in Philadelphia, time for one last look at winter. 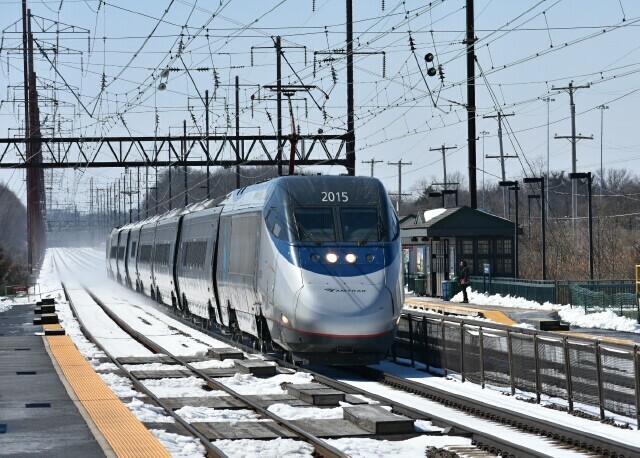 It's St. Patrick's Day and the ground is covered in snow as ACS-64 652 pulls a Northeast Regional train toward Center City. Chugging slowly behind is the light engine NS GP38-2 5278 of CSAO FJ10, passing the cars it just finished working with on the Eddington siding. It is heading back to its home, Frankford Junction. 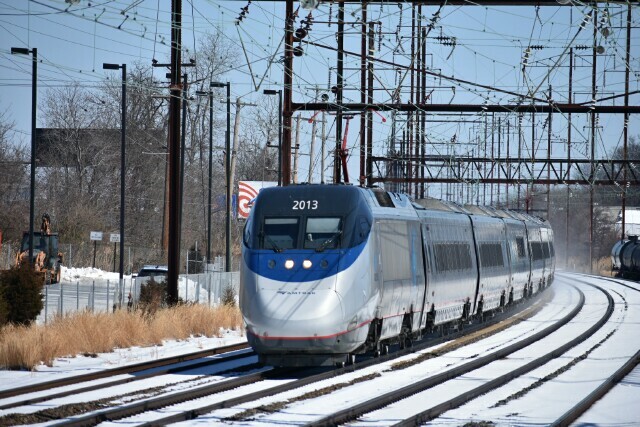 By contrast, Acela Express 2110 races toward New York City. Minutes later Acela Express 2117, which has just passed her sister 2110 around Croydon. 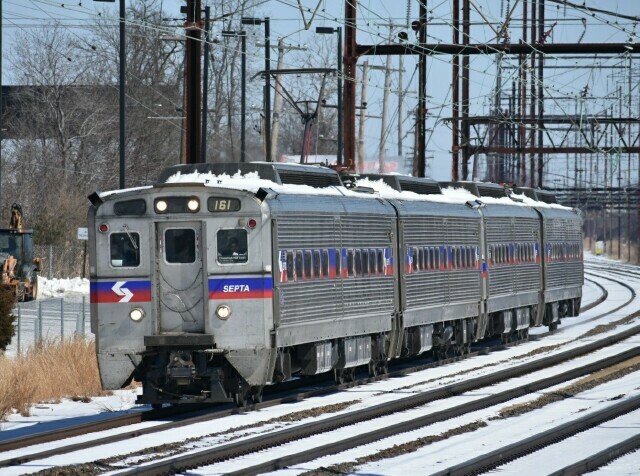 The oldest passenger cars in the SEPTA fleet (and some of the oldest in service in the country), the Silverliner IV's are going to be around for quite a while, some probably making it to their 50th birthday in 2024. 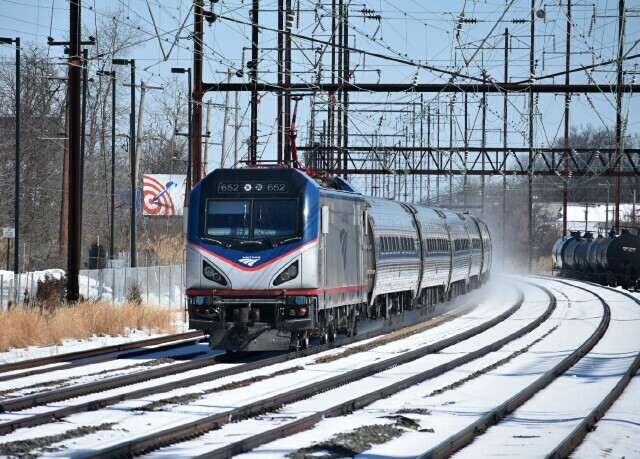 Even older than the Silverliner IV's is Amtrak cab car AMTK 9647. Built in 1968 as PRR Metroliner 801, it did not enter service until 1969 under the colors (term used very loosely) of the Penn Central as PC 801 and finally AMTK 801. 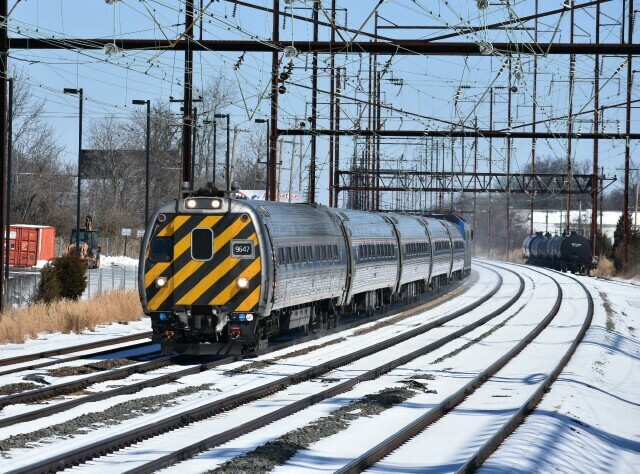 Its first conversion to a cab car with a standard diaphragm end came in the late 1980's, a look that lasted until the new armored end was installed in 2016. 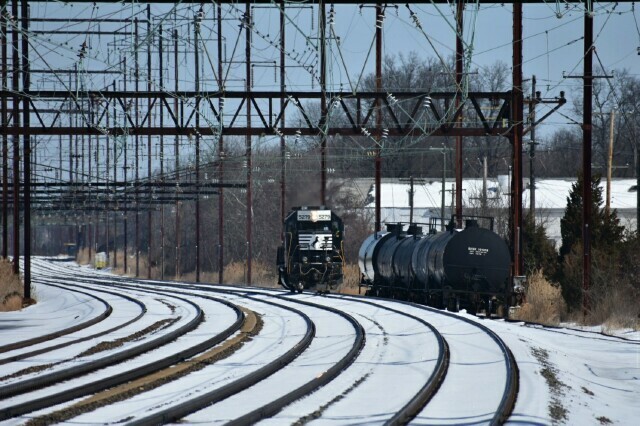 The cab cars can still be found on the Keystone trains like this one, Train 645. 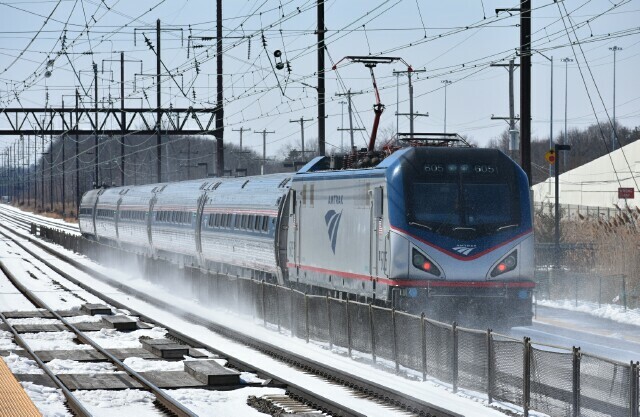 With the retirement of the AEM-7's, the ACS-64 is the sole electric locomotive in Amtrak's stable.